After your bridesmaids are done showering you, it's time to shower them with gifts! No matter how big or small your bridal party is, it's important to get them a little something to show them how grateful you are for their support. Plus who doesn't love presents?! What's better than getting ready for your big day with the women you love most? Nothing! Make sure your girls get ready in style with The Silk Pajamas or Lace Trim Silk Robe by Natalie Deayala. The most sophisticated PJ set we've ever seen is a great gift idea for your girls. Available in the perfect neutral colors, your bridesmaids will stay cool, calm, and comfortable! Plus they won't ruin their updos pulling a bedazzled tank top over their head. Oh and remember to treat yourself to a pair in white of course! While you worry about finding something old, new, and blue, give your girls something they'll wear with everything! 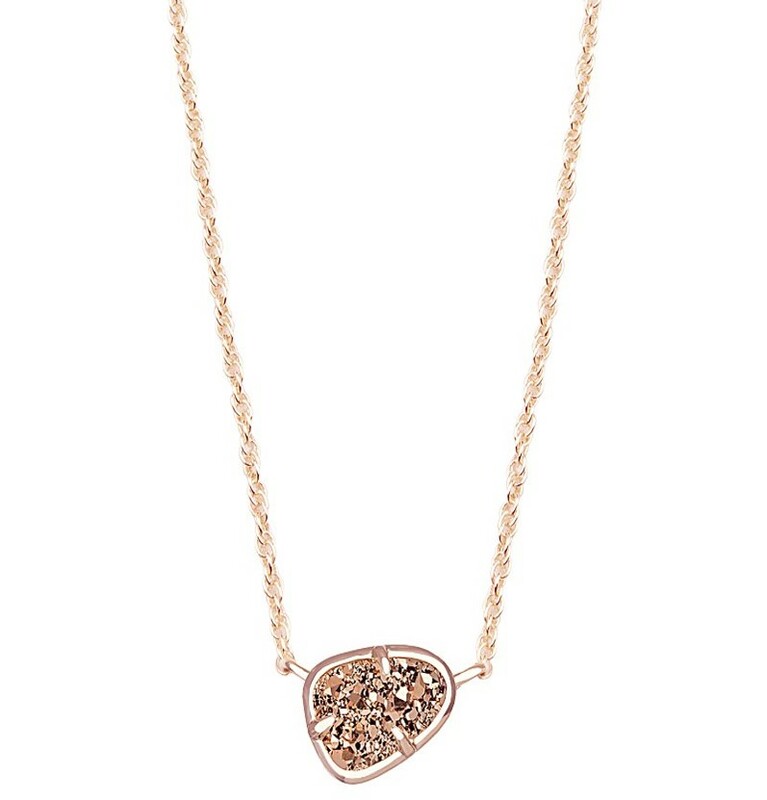 Our favorite piece is the Hayden necklace by Kendra Scott in Iridescent Drusy. This simple necklace can be something the girls wear with their fabulous bridesmaid dress or their favorite pair of boyfriend jeans. Whether you and your gal pals are jetting off to Cabo for your destination wedding or the best karaoke dive bar in town for the bachelorette party, make sure they are prepared for the trip! The best way to stay organized? Henri Bendel's West 57th Travel Portfolio Wallet! Store your cash, credit cards, and plane tickets together without the extra bulk- leaving everyone plenty of room for an extra pair of heels...or two. Want to give your girls the gift that keeps on giving? 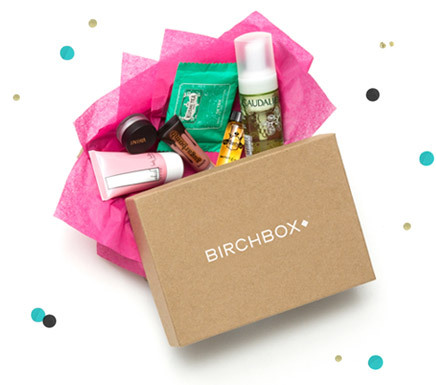 Sign them up for a subscription to Birchbox, the smartest way to shop for beauty products! Each month your favorite females will receive a box of samples of the best beauty products. Keep them on their freshly painted toes with a fun little surprise every month with great goodies from their fave brands! 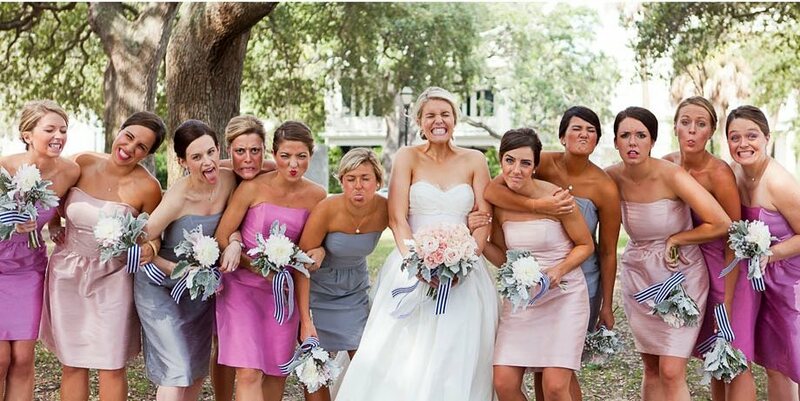 Let's be honest...it's expensive to be a bridesmaid. From the shower gift to the bachelorette gift to the wedding gift to the...you get the idea! While your girls are honored just to be apart of your wedding, one gift we know every bridesmaid will sincerely appreciate is some ca$h money. Covering part of the cost of the bridesmaid dress, hair and makeup for the big day, or even jewelry, is a perfect (and super easy) gift for your gals! Even if you feel like you can only help out a little, it's an easy way to let your girls say yes with a lot less stress!